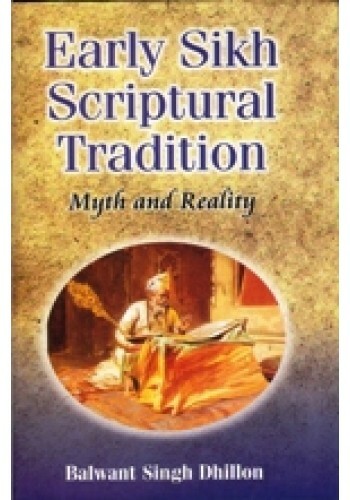 The book addresses to the issues that have cropped up from the textual studies of the Sikh scripture. It examines the various ways and means or the traditions through which the Gurbani was being transmitted in the pre-Adi Granth period. Besides inquiring into the role of the Sikh Gurus in nurturing the Sikh scribal tradition, it takes into account the rival traditions, namely the Udasis, the Bhallas and the Minas that had come up to serve the sectarian interests. The study seeks to reiterate that before using the evidence of a document of Gurbani, its authenticity, antiquity and authority need to be analysed in an analytical and surgical manner. It intends to subject the sources to rigorous examination that are considered to be at the base of the Adi Granth. It also points to the limitations of Biblical methods of textual criticism which have been applied to the Sikh text without any testing and experimentation. It is hoped that this work will be a significant contribution to the Adi Granth studies and with it some of the contentious issues originating from the understanding of the western scholars in respect to the formation of Sikh canon, may be laid at rest. Dr. Balwant Singh Dhillon is working as a senior lecturer in the Department of Guru Nanak Dev University, Amritsar. He did his post-graduation in History from Rajasthan University, Jaipur; and in Religious Studies from Punjabi University, Patiala. He was awarded doctoral degree for his thesis on The Sikh Gurus and the Mughal State. Among his earlier works, Sri Guru Amar Das Abhinandan: An Anthology of Guru Amar Das (1985), looks into the image and personality of Guru Amar Das and his Parmukh Sikh te Sikh Panth (1997) presents an exhaustive account of the Sikh Panth of early 17th century. Over three dozen research articles published in leading Journals of national and international repute are also to his credit. He specialises in the study and analysis of manuscripts in Gurmukhi and Rajasthani. On the whole, his contribution to the field of Sikh studies, especially the study of Sikh scripture, the Siikh institutions and their role in the formation of Sikh identity and several other debatable issues in Sikh history and religion, is commendable which has earned him international recognition. About the Book 'Sikh Metaphysics' By Shashi Bala This monograph deals with the variant metaphysic..
Table Of Contents For 'The Sikh Tradition - A Continuing Reality - Essays in History and Religion..